e mid of the last month. Born in Collinsville, Mississippi, the renowned music diva lived an inspiring life that encourages talented individuals to follow their darling star's dedication, sincerity, and hard work in order to achieve success in their life. Ruffin started his music career when he was still a youngster. He with his brother David Ruffin as singers joined the gospel group the Dixie Nightingales. The year of 1961 was the era when Ruffin involved in the fledgling Motown Records where he was used to do session work. Unfortunately this kept him away from music for more than 22 months. He loved his family more than his own individuality and he had some moments in his life where if he wanted, he could make money for himself and could be on the fame alone but he didn't. While he came back to Detroit and Motown from his services, he preferred getting a place in the Temptations for his brother instead making his career as a solo artist. 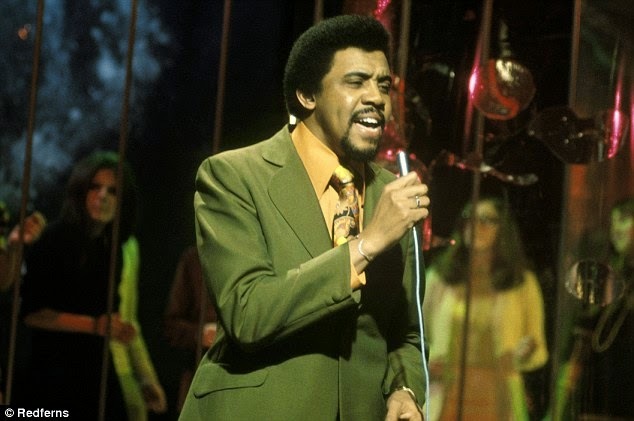 The American soul singer began with his singles on the Soul subsidiary in 1966. He found a song that was exclusive made for the Spinners. Ruffin won over the management for letting him give his vocal to "What Becomes of the Broken Hearted". The track was a hit after its release and ranked at 7 on the Hot 100 and 6 on the R&B chart whereas it was at number 10 in the UK. ▶ Gonna Give Her All the Love I've Got (1967 / #29 Pop / #14 R&B). ▶ A reissue of What Becomes of the Broken Hearted? (1974 / #4 U.K.). Later in 1974, Ruffin said good-bye to Motown to come up with Chess Records however his music with RSO in 80s brought him back to the charts. Not only this as Ruffin's collaboration with Robin Gibb of the Bee Gees for his album Sunrise and the super successful track “Hold On To My Love” stood him among the top-20 list and was played at number 10 on Hot 100, 29 on the R&B charts, and 7 in the U.K.
England opened its arms for Ruffin and showered success on him where he moved in 1984. Paul Weller had the opportunity to work with this legendary star. Ruffin also proved himself as the best radio host for a good time period and was applauded for it.